Ramblings (stories,pictures and other things of interest) posted by myself and my rare cousins about our Reher and Stoltenberg heritage. Johann and Sopie came from their hometown, Hagersdorf, Germany to the United Stated on the ship Frisia, the captain being Captain Meier. They came directly to Hall County, Nebraska, arriving April 2, 1873. I have no more information on these people as to other children they most certainly had... Nor can I go further back on the Reher side. 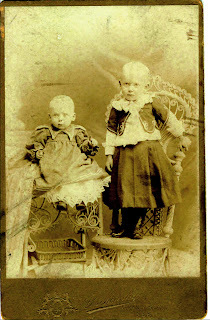 Emil was the fifth child of Ernest and Minnie (Stoltenberg) Reher. He was born September 17, 1901, and went to school at District 28 which is about two miles west of the Reher home place, southeast of Grand Island, NE. Emil continued to go to school until about the 10th grade. He then went to work on the family farm and also began to build roads in Hall County with his dad, Ernest, They built a number of roads that became the major county roads of today. 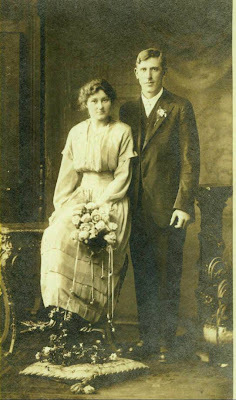 Emil married Irene Bessie Lacy February 16, 1927, and together they had five children: three sons, Gilbert, Willis and Ronald and two daughters, Sylvia Reher Peters and and daughter who died when she was about two years old. In the early 30’s, Emil went to work for Hall County Highway Department where he continued to build roads and bridges in Hall County. 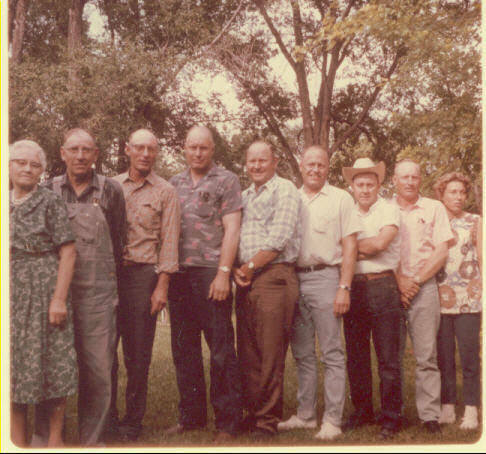 Many times, three of his four children, Willis, Sylvia and Ronald, would go with Emil when he graded roads. He taught them how to operate the equipment that he was using at the time. It is interesting to see that most of the main roads that Emil graded are now paved. Some of these are: (1) all roads east of the Grand Island city limits, (2) Highway 281 west of Grand Island, (3) Golf Course Road, south side. Some of the things that I remember are: In the late 30’s Emil and a crew made locust poison to give to farmers because the locusts were destroying the crops by eating everything in sight. If the winter was severely cold, he would get calls in the night that a farm wife was giving birth but couldn’t get out to the road because the snow was too deep. Emil would get the snow plow out, drive to the farm and plow out the driveway or road so that the farmer could get his wife to the hospital. Because he had grown up in the area and had worked on the county roads for so many years, Emil knew about 90% of all farms in Hall County. 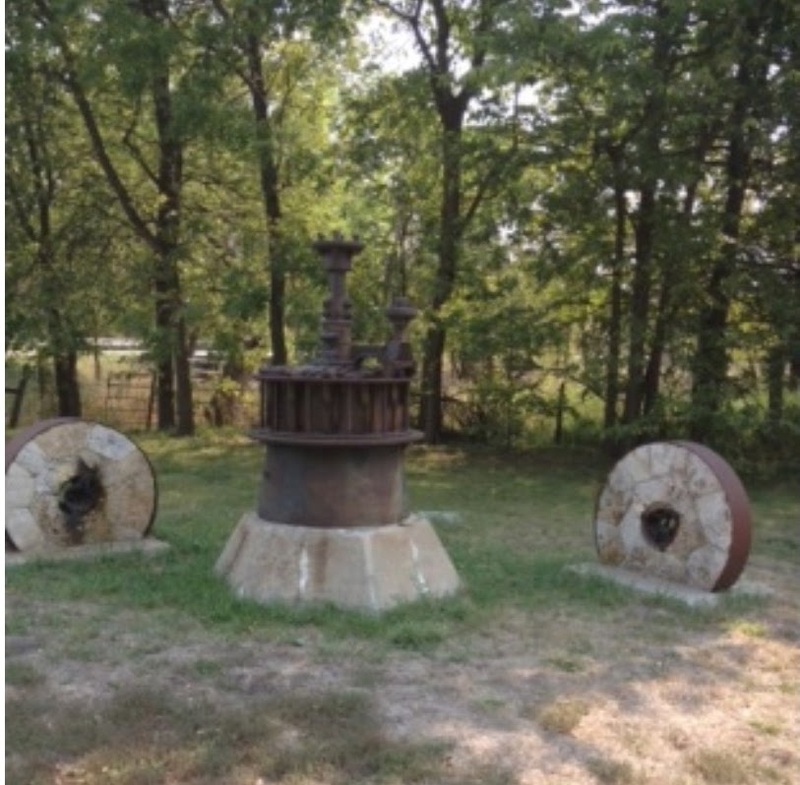 Emil built the flour grinder display that is still standing on south Blaine Road just before the Wood River Bridge. 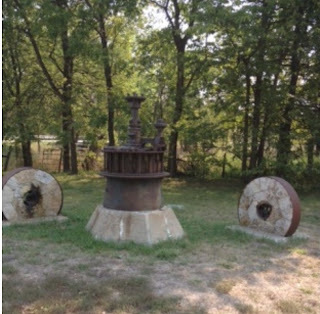 Since the Platte River is owned by the farmers and the property lines go to the middle of the river, this created problems because the channels would change and Emil would have to survey the river. As a result of the changes in the river, some farmers would lose land and others would gain land. Emil’s brother, Barney Reher, knew about the problem also. Keeping the roads open in the winter was Emil’s biggest work load. 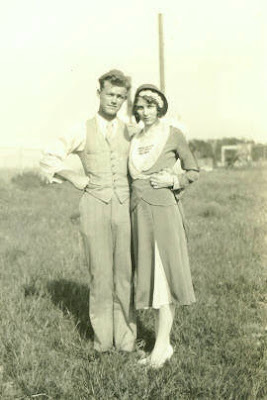 He became well-known in the early 40s through out all Hall County. In addition to the Grand Island shop located at 2nd and Blaine, there were shops on the St. Paul Road, Cairo, Alda, Wood River and Doniphan. Sometimes on Sundays, Emil would use dynamite to blow up Cottonwood trees for wood burning stoves that we used for heating and cooking. One of the Sundays on Wood River, about where Fonner Golf Course in now, Emil placed a charge in a Cottonwood tree and I ran under a barbed-wire fence to get out of the way. I didn’t get low enough and one barb cut my head open from front to back. The doctor closed the cut with staples. 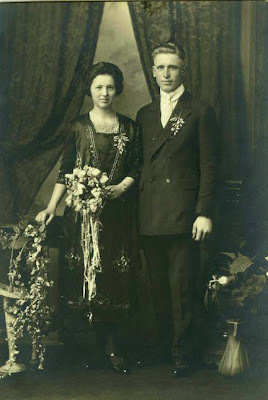 Emil did things with his family from swimming in the Platte to loading the family into our Model A, and driving to Chapman on Wednesday nights for the town movies in the summer. Emil was active in the Platt Duetsche Club most of his adult life. At one point, in the 1940s, he followed his father, Earnest and became President of the Club. His picture can be found with other historical pictures at the Platt Duetsche. Emil and his wife, Irene (Lacy) Reher, led a busy life raising a family of three boys, Gilbert, Willis and Ronald, and one girl, Sylvia Reher Peters. 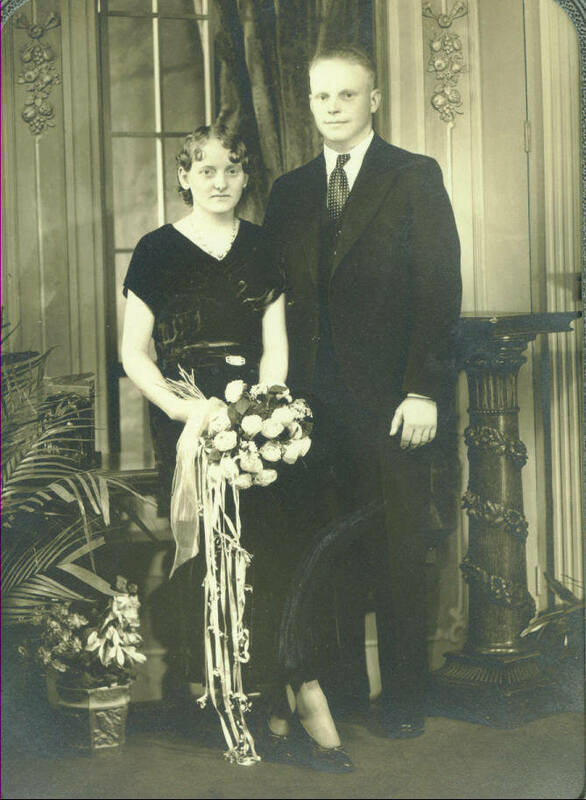 When they bought a home on North Adams Street, Emil’s father, Earnest, lived with them until his death. Emil and Irene worked at Schimmer’s Dance Hall when it was operating in the early 1940s. Emil worked in the bar and Irene operated the food stand. It was a great place for kids. I was very fortunate to have three adults in my family who taught me about life and a good work ethic: my Dad, my Grandfather and my Uncle Barney Reher. I worked for Barney as a painter from 1949 to 1952 when I joined the Navy and from March to September 1956 between when I was discharged and when I entered Kearney State Teachers’ College. When I wanted to buy my first car and couldn’t get a loan, Barney loaned me the money. For payments, he would take about 30% out of my salary until the loan was repaid. Grandpa, Ernest Reher, taught me how to use tools and other shop equipment. That may be the main reason I became and Industrial Arts teacher. The skill of using my hands gave me both a profession and a life-long hobby. Emil was diagnosed with colon cancer in 1953 and died in June 17, 1954. Emil was one of the kindest men I have ever known. I was only 16 when Ron and I started dating. Emil took me under his wing like a daughter from the beginning. He loved to joke and laugh so dinners at the Reher home, crowded around a round table in their tiny kitchen, were always fun. When Ron left for the Navy, Emil missed him as much as I did. Sometimes I went to their home because it made me feel closer to Ron. One evening there was polka music on the radio. Emil grabbed me and we danced around the circle of the downstairs rooms laughing and having a wonderful time. When he lay for weeks dying at St. Francis hospital, he never complained although he was in great pain most of the time. 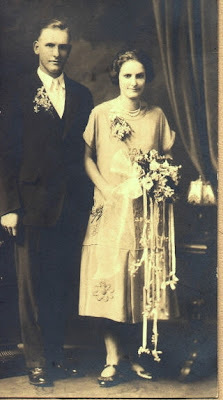 Ron and I were married May 31, 1954, just 17 days before Emil died. He was too weak to go to the wedding, so we took the wedding party to the hospital before the reception. Emil just seemed to will himself to live until after the wedding. Then he lay back and waited for the end. It was a sad day when death took such a wonderful man out of our life at such an early age. Who doesn't like old photos... especially those of our ancestors, babies, weddings... ??? Sadly... 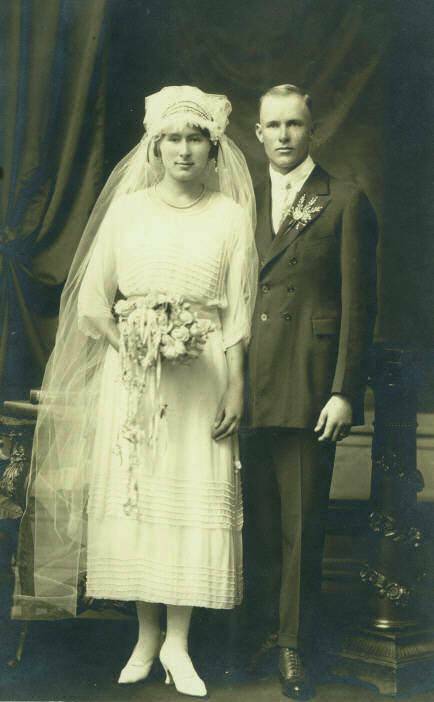 I find that I don't have the wedding photo of Emil Reher and Irene Lacy scanned into my computer and my scanner doesn't work with my new Mac. Also... I thought I had created a post of the wedding photos some years ago... but couldn't find it. 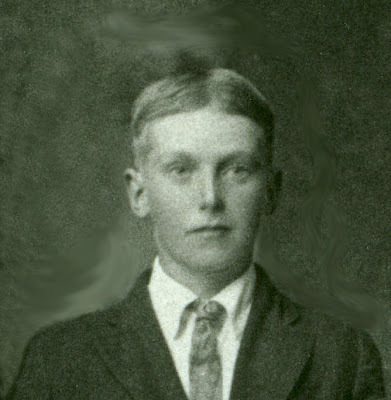 Arthur John Reher was the first child born to Ernest F and "Minnie" Stoltenberg Reher. He was the first of 6 boys, the first of 10 children. Art was born in Hall County, Nebraska on July 11, 1894. Don't you love old photos? 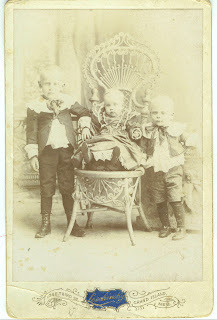 I read recently that in pioneer times little boys were dressed in dresses until they were potty trained. 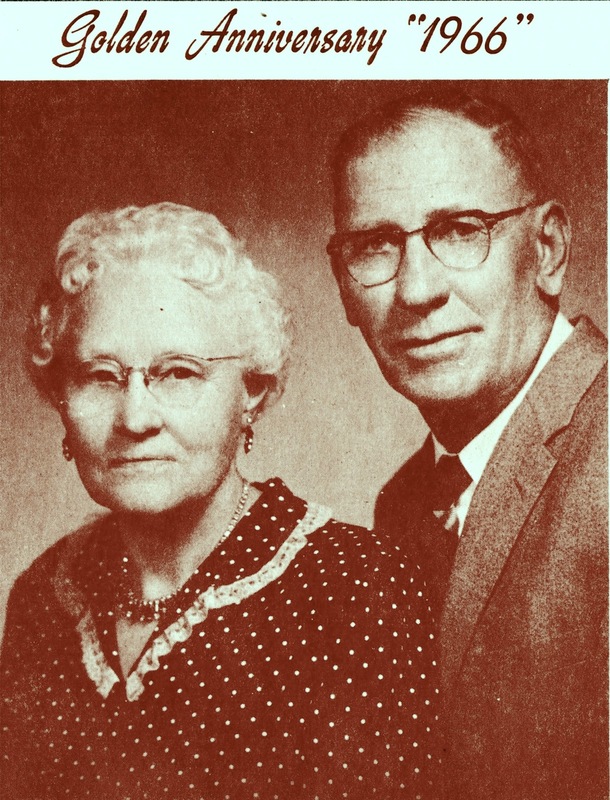 After their marriage, they farmed in Kimball County, Nebraska before moving and farming near Pine Bluffs, Wyoming. Art retired from farming in 1959. Art and Theresa had 7 children in all and like Art's parents, they had 6 boys before being blessed with a daughter. These children were: Alfred (born at home in Kimball County, NE on July 16, 1917), Virgil (born at home in Kimball County, NE on April 15, 1919), Leonard (born in Pine Bluffs, Wyoming on March 21, 1921), Leland (born in Pine Bluffs, Wyoming on January 1, 1924), Harold (born in Pine Bluffs, Wyoming on Sept 18, 1927), Gene (born in Pine Bluffs, Wyoming on May 9, 1930), and Catherine (born in Pine Bluffs, Wyoming on May 15, 1932). Art Reher died on February 16, 1972 in Pine Bluffs. Theresa died on January 7, 1978 in Cheyenne, Wyoming. They are both buried in Pine Bluffs, Wyoming. Art was survived by 6 of his 7 children, Virgil having preceded him in 1968, and by 8 siblings, his brother Emil having preceded him in 1954. Theresa was survived by 5 children, Harold had passed away in 1974. At this time there were also 24 grandchildren and 22 great-grandchildren. Personal memories of mine... I don't have many... We didn't see the Wyoming relatives very often. I remember Art as tall, taller than the other uncles. My father, Barney, would have been only 4 when Art got married, 8 when Art and his brother, John, moved to Wyoming. Their children were closer in age to my father. When the brothers all got together in Grand Island, I remember them playing sheepshead (a card game) and they all talked loud and in German, except for my father who only spoke a few words of German, although he seemed to understand them as they talked. I remember a family picnic or get-together in Wyoming when I was about 7, I suppose, at which, while playing tag or some such game, I got my first kiss from one of the boy cousins... (I won't say who). Our ancestor (my Great-grandfather), Johann Frederick Reher, was born February 1st, 1840 in Bebensee, Segeberg province, Holstein, Germany. He was one of three known children born to Sophia Elizabeth Maria Ehlers and Hinrich Casper Reher. The other children known were Marcus Hinrich "Max" Reher, born January 16, 1834 and Hans Christian "Chris" Reher, born August 18, 1843. These three brothers immigrated to Hall County, Nebraska. Chris came with Johann in 1873 and Max came about 1884. Were their other children? I don't know. 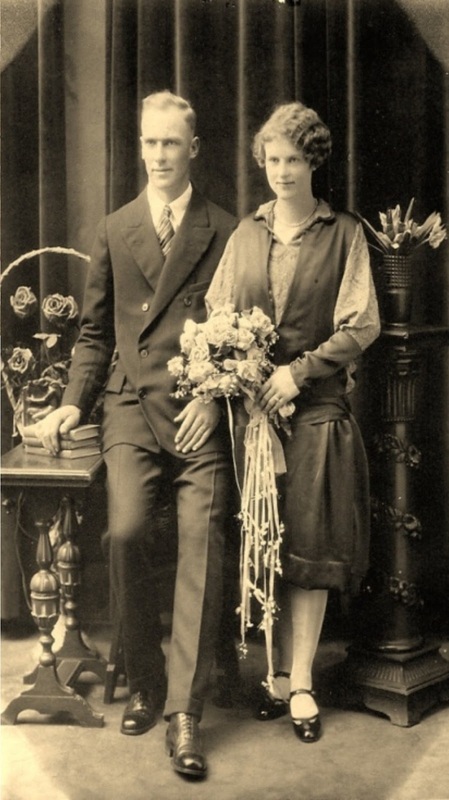 In 1863, at age 23, Johann was united in wedlock with Miss Sophia Vogt in Negennboetel, Segeberg province. Sophia was born June 12, 1842. That same year, 1863, Johann was called to serve in the 16th infantry regiment at Copenhagen. Leaving his new wife, he served until April, 1864. Then in 1867 he participated in maneuvers of the 25th regiment in Flensburg, Schleswig, Germany. 1870 saw the beginning of the Franco-Prussian War ending with the Germans being victorious over Napoleon III. Johann was again called to service in 1870 serving in the 85th regiment. This time he left his wife and a young daughter, Emma, born in 1868. He was given a leave after some weeks but later served in the 75th regiment at Bremen and another time at Sonderburg, Schleswig. Economic conditions were poor for nations as well as individual families. The continent was over-populated and there was extreme competition for its resources. The future was bleak and there seemed no relief in sight. Custom dictated that the oldest son inherited all his father's property, so younger children often immigrated when they heard the promises of free land. Having land to farm of their very own, was a dream that brought many German immigrants to America. Another reason many young German men immigrated to America was to escape serving in Otto Von Bismark's armies. Europe was beset by extreme political unrest in the 19th century. National boundaries were frequently being changed... Individual religious practices depended on national religions. War was a way of life and conscription in the army was forced on young men. Letters to the old country from early settlers gave glowing accounts of life and opportunity in the new land and urged family and friends to join them. The first group of settlers in Hall County arrived in 1857 with 32 Germans, most from the Schleswig-Holstein area of Germany, who had fled to America to escape Prussian militarism and had settled in Davenport, Iowa several years earlier. They sent word to relatives about the opportunities available here. An advertising campaign was launched on a grand scale, not only by the immigration offices of the State of Nebraska and local communities, but by the railroads who had land to entice the farmer and stockman from abroad. The Homestead Act of 1862 was a major attraction for the European. It was the opportunity to own land and to be a citizen in a new country dedicated to personal freedoms. The Railroad Act made it possible for him to reach that new land easier. Emigrants were advised to sell everything, because what they would need most was money. Without weeping, they must leave behind their home, the family treasures, the domestic animals, the machinery, and Grandma. Men were urged to take heavy clothes for work that didn't show dirt, a suit, and plenty of warm clothing. Women were told to go with a minimum of clothing because the styles were so different in the new country that they would want to buy clothes when they arrived. Can we even imagine leaving all that is familiar, all of our possessions and all of our family, our mothers, and fathers, most likely never to see them again? No internet, Skype, or telephones to even talk to them again. Two children were born to Johann & Sophia Reher in Germany. Emma in 1868 and my grandfather, Ernest, in 1872. Called to service four or five times in less than 10 years and not knowing what the future would be, in 1873, Johann, at 33 years old, decided to bring his family to America. They sailed from Hamburg, Germany on April 2, 1873 on the ship named Frisia; the captain was Captain Meier. Johann & Sophia had listed their hometown as Hagersdorf, Holstein, Germany. My Grandfather, Ernest was listed as 9 months old. Also coming to America with Johann & Sophia was Johann's brother Hans Christian Reher, age 30, and his wife Christine, age 22. The trip from Hamburg to New York City took two weeks; they arrived April 16th. The typical cost of a trip would be abut $30. Once the Rehers arrived in America, there was still the trip from New York to Nebraska. By 1866, the railroad had been completed through Grand Island and they probably were able to take the train. The railroads made up immigrant trains to take people west. The cars were called zulu cars. Bunks without mattresses lined the sides with cooking facilities at the end. It took about five days to get from New York to Omaha, Nebraska. 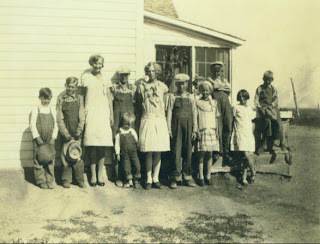 In Omaha, the new Nebraskans were put up in an immigrant house without charge for several days while they located their land, bought their supplies, and made plans for the biggest adventure of their life. According tho the "History of Hall County" book, "the Rehers arrived in Grand Island on April 17th, just two days after the memorable snowstorm of that year." Obviously one of the dates couldn't be right as that would mean a one day trip from New York to Grand Island. 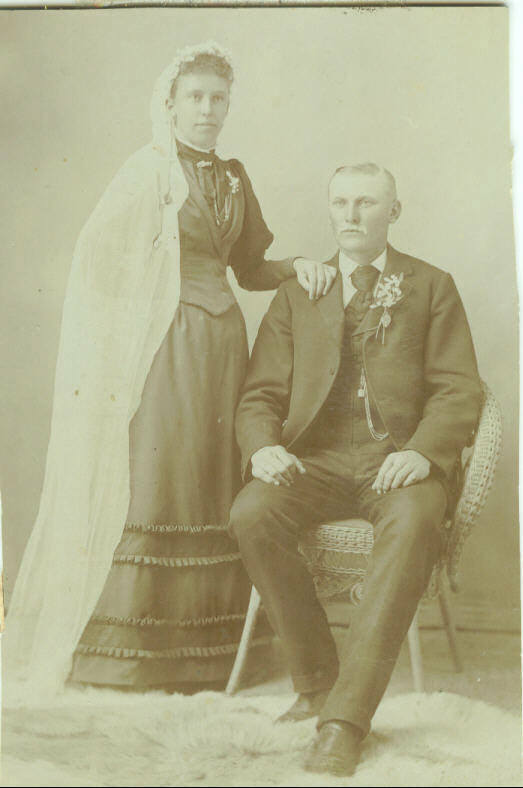 The Reher families came directly to Grand Island and settled down, arriving in America during what was called the "Panic of 1873", a nation-wide depression triggered by reckless speculation in railroad expansion. This was followed in the Cornhusker State, by drought and by grasshopper plagues in 1875 and 1876. The grasshoppers and droughts ruined the crops the first few years and convinced half of the people to pull out of Hall County. The "Grand Island Times" newspaper tells that there was a coal shortage in 1877, with exorbitant prices $2 - $3 more in Grand Island than large metropolitan cities in the east. Later there were the terrible blizzards we've all heard so many stories about. Johann & Sophia must surely have wondered if they'd made the right decision in coming to America. Note: I wrote most of the above 20 years ago. Some of it is obviously taken word for word from other sources which I didn't bother to note in my earlier writings. I apologize. Part of the narrative, the personal stories, was written by earlier relatives... an aunt and distant cousin who I assume got their information from their parents or grandparents. Hopefully it is accurate. Wikipedia seems to agree with all of the wars going on in Germany and conditions at the time. Joseph Francis Ruzicka was born to Joseph and Marie Ruzicka in Omaha, NE on December 31, 1926. He went to Bancroft and Park Avenue Grade Schools and graduated from Tech High School in December 1944. He joined the Navy on December 27, 1944 for two years. In 1946 he worked for Miller Knuth Mfg Co as a machine apprentice. He was drafted in the Army during the Korean conflict and served on the Island of Kyushu, Japan. After the war he went to Omaha University for two years where he took drafting. Also, he worked for Northern Natural Gas Company, Leo A. Daly, DLR and HDR Architectural Firms. He retired from Leo A Daly in 1991. He was a 66 year member of the Sokol Organization. At age 5 he began taking gymnastics at Sokol Hall on 13th and Martha where his father was the manager. As he grew older he would walk to his classes from his home across from Hanscom Park. 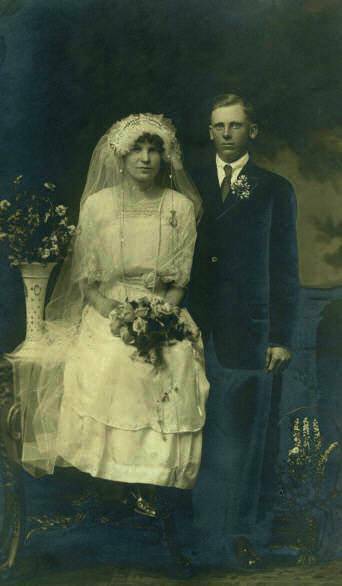 Joe was married to Caroline (Reher) Johnson on October 1, 1983 at Bethel Lutheran Church and was step-father to Terri Peeters, (Rene’) Dallas, TX, Lawrence Johnson (Margee) Greeley, CO, and Sandra Brodersen, Omaha, NE. He is grandfather to Caroline Peeters, Matthew Bantin-Johnson, Tylor Bantin-Johnson, Trevor Bantin-Johnson, Noah Brodersen, and Hunter Brodersen and great-grandfather to Olivia Bantin-Johnson. 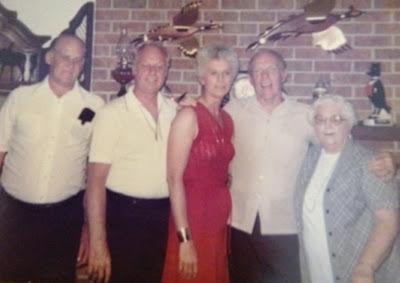 Joe and his wife traveled to the Czech Republic and there met his relatives and a fellow worker, Jan Talcko with whom he worked at Leo A Daly. They also traveled to Europe, Alaska, Hawaii and the Caribbean. He was a member of the Polka Lovers Club of Omaha and the Polka Lovers Klub of America (PoL. K. of A.) where he went on many bus trips to Polka Festivals throughout the Midwest. He was also Prince and King of the PoL. K. of A. His hobbies were hunting, fishing, woodworking, gardening, photography and dancing. Surviving him is his wife and family and his sister Vera Ruzicka of Scappose, OR and other relatives. Henry Riley Stephenson, a 62-year resident of Colville, WA passed away on Oct. 14, 2011 in Colville at the age of 90. 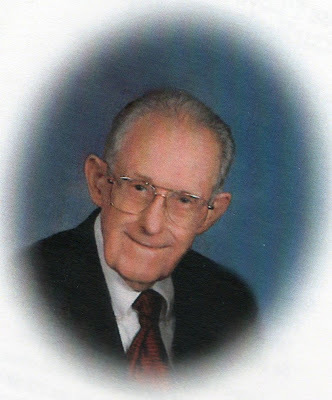 Riley was born on June 18, 1921 in Burwell, Nebraska, the son of Clarence Daniel and Rebecca Amanda (Tockey) Stephenson. He was raised in Nebraska and graduated in 1941 from the town of Boelus. Riley entered the U.S. Army on Dec. 19, 1944 and served overseas in the Pacific Theater. He was honorably discharged on Nov. 12, 1946 and returned to Nebraska. 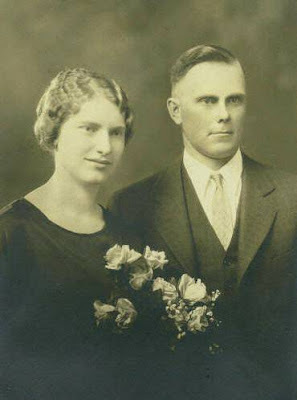 On Oct. 27, 1946 he married Roma Evelyn Reher, “his million dollar baby that he met at the 5 & dime store.” Three years later, they moved to Colville, WA where Riley farmed four years for Harold Kohlstedt. He then went to work at the Colville Flour Mill where he processed flour and helped in maintenance and repair. In 1962, Riley took an in-town delivery position at the Colville Post Office. He provided mail service for 20 years, spending the last four years as a rural route carrier. Riley retired in 1982 from the postal service but continued to operate “Stephenson and Sons Dive Shop” which he began from his home in 1971. He closed the doors to the dive shop in 1996 and began traveling with his wife. With a truck and camper, they covered thousands of miles throughout California, Mexico, Nebraska, Alaska and every place in-between. 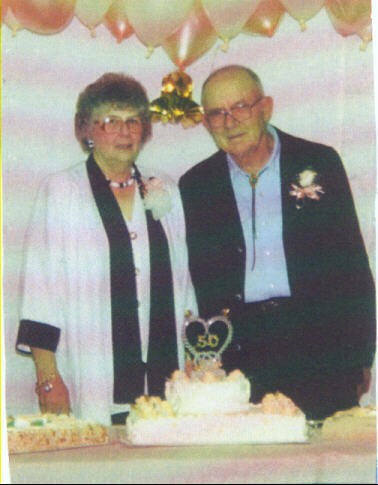 Riley was an avid scuba diver and a 50 year charter member of the “Tri-County Divers” team which served the Sheriff’s Office, Search and Rescue and offered submersion recovery. He was a man who knew few limitations and dove until he was 86. He had a great love of music, and spent several years calling squares at local grange halls. His greatest joy was listening to his daughters play and sing. Riley was also a gifted writer who published the Hallercreek Observant for 10 years and wrote countless poems and reflections, which he shared with family and friends. His green thumb was a great compliment to his vegetable garden and fruit trees which yielded wonderful yearly harvests. He believed strongly in taking an active political role in society and taking time to share with family and friends. He will be remembered as a caring, sassy, fun loving, outgoing, flirtatious, mentor who was always there for his family. Riley was preceded in death by his daughter, Amanda Mae (Stephenson) Thomas, sisters, Clara Elstermeier, Isabelle Keldsen and Rhoda Jensen. He is survived by his wife of 65 years, Roma Stephenson, at the home, daughter, Twilla George and husband, Morley, Colville, WA; sons, William “Bill” Stephenson, Great Falls, MT, Clarence “Edward” Stephenson and wife, Shirley, Great Falls, MT; brother, Fred Hilmer, Cotesfield, NE; thirteen grandchildren and numerous great grandchildren. At Riley’s request, there will be no public memorial services. Memorial contributions may be given to the Arbor Day Foundation or you may plant a tree in his memory. Please visit the on-line memorial and sign the guestbook at www.danekasfuneralchapel.com. Danekas Funeral Chapel and Crematory is entrusted with the arrangements. Click HERE for an index to past postings on Rare Ramblings.